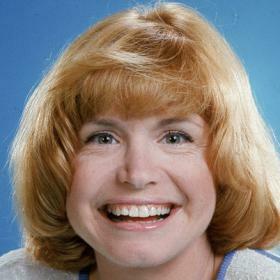 Bonnie Franklin, whose portrayal of a pert but determined Ann Romano on the television show “One Day at a Time” in the 1970′s and 80′s spun laughter out of the tribulations of a divorced woman juggling parenting, career, love life and feminist convictions, died on Friday at her home in Los Angeles. She was 69.
said. They had announced the diagnosis in September. Actress Bonnie Franklin, a Tony Award nominee who played a single mom at the center of the hit TV sitcom “One Day at a Time,” died Friday of complications from pancreatic cancer. The woman who played the youngest daughter of Franklin’s character on the CBS show, Valerie Bertinelli, said her “heart is breaking” after hearing the news. “Bonnie has always been one of the most important women in my life and was a second mother to me” – Bertinelli said. “She taught me how to navigate this business and life itself with grace and humor, and to always be true to yourself. Actress Mackenzie Phillips later tweeted a picture of her and Franklin, who played her mom on the same program. Franklin was born January 6, 1944, in Santa Monica, Calif. Her mother and father were Jewish immigrants, from Romania and Russia, respectively. She kicked off her 60-year career at age 9, tap dancing with Donald O’Connor on the “Colgate Comedy Hour.” She continued as a young teenager on such TV shows as “Gidget,” “The Man From U.N.C.L.E.” and “The Munsters,” among others. After her graduation from UCLA, she starred in several theater productions in New York, even earning a Tony nomination in 1970 for her show-stopping performance in the original production of the Broadway musical “Applause,” making Franklin one of the youngest performers to ever receive that honor. The actress was married to playwright Ronald Sossi from 1967 to 1970. She married film producer Marvin Minoff in 1980 after they’d worked on the TV movie “Portrait of a Rebel: Margaret Sanger,” about the public health advocate, together. Their marriage lasted until Minoff’s death in 2009. Franklin had no children. A private memorial service will be held Monday. In lieu of flowers, the family suggests donations be made in the actress’s memory to CCAP, 11684 Ventura Boulevard, 437, Studio City, CA 91604. This entry was posted on Monday, March 4th, 2013 at 8:34 am	and is filed under Tragedy. You can follow any responses to this entry through the RSS 2.0 feed. You can skip to the end and leave a response. Pinging is currently not allowed.